The Walgreens at Downtown Crossing. THE HEAD of the Boston Redevelopment Authority stood surveying a gleaming bank of expensive skin lotions, unsure of what to make of them. Peter Meade is in charge of development in Boston, and high-end skin care lies outside his area of expertise. Nevertheless, when merchants of fine lotions open up shop in town, it’s his job to show a friendly face. He allowed that it was an impressive array, and said he would alert his wife, who, of the two of them, is more the expert in such matters. Meade moved on. There was much to see: a juice bar, a sushi counter, coolers full of sandwiches and sodas and beers, a room in which to get one’s nails manicured, a desk for picking up prescription drugs. The new Walgreens flagship store in Downtown Crossing is a massive place. It opened last week in the old Borders storefront, and officials from both the city and the pharmacy chain are eager to show it off. They shouldn’t be. The storefront at the corner of Washington and School Streets looks great, but the place stinks of low ambition. If a pharmacy that slings mediocre sushi is a sign of what’s to come from Downtown Crossing’s rebirth, the long-struggling neighborhood is headed down a very bad path. The fancy new pharmacy looks inoffensive on the surface. It filled a high-profile vacancy at a time when folks inside City Hall were grasping for any shred of good news out of a downtown scarred by the gaping pit where the Filene’s department store once stood. The store will stay open 24 hours, and its diverse offerings should prove to be a welcome amenity for the folks who live in the expensive condominiums across the street. At the same time, the store is utterly lacking in creativity. The Borders bankruptcy opened up one of the most prominent street corners in Boston at a time when Downtown Crossing is reinventing itself. The old Borders spot could’ve become anything in the world — a specialty grocer, a gourmet food hall, a multi-level roller disco. Anything. All it is, though, is a fancy drug store that does nothing to further Downtown Crossing’s budding comeback. A high-end pharmacy actually would have been a welcome addition to the Seaport, where residents are awash in fantastic restaurants, but lack places to buy essentials like pharmaceuticals and groceries. Downtown Crossing, on the other hand, already has an abundance of drug stores — three within shouting distance of the new Walgreens. It already has liquor stores and convenience stores and sandwich takeout joints. The new Walgreens will probably make buckets of money offering all these things under one roof, but it won’t deliver anything new. Nor will it attract shoppers to the neighborhood. Residents in Jamaica Plain aren’t going to feel compelled to hop on the Orange Line to shop at the new pharmacy in Downtown Crossing, no matter how impressive it looks. The store is aimed at convenience shoppers who are already downtown. It doesn’t deepen the crowds in Downtown Crossing, and it does nothing to speak to Boston’s civic ambitions. Putting a pharmacy in the old Borders storefront is wrongheaded in a way that recalls Downtown Crossing’s worst moments. Boston’s onetime commercial hub crumbled for a very specific reason: Downtown Crossing couldn’t offer shoppers anything they couldn’t find in the suburbs. Urban neighborhoods overcome decades of flight to the suburbs by creating unique, exciting spaces. Part of this is in cities’ architecture, in the fabric of urban neighborhoods. No suburb is going to succeed in replicating the South End’s handsome rowhouses. But part of neighborhoods’ success lies in creating compelling destinations inside the urban fabric they’ve inherited. The bars, restaurants, coffee shops, and creative office companies cropping up around Downtown Crossing are beginning to carve out a young, vibrant niche in the neighborhood. They need more like-minded businesses to join them. 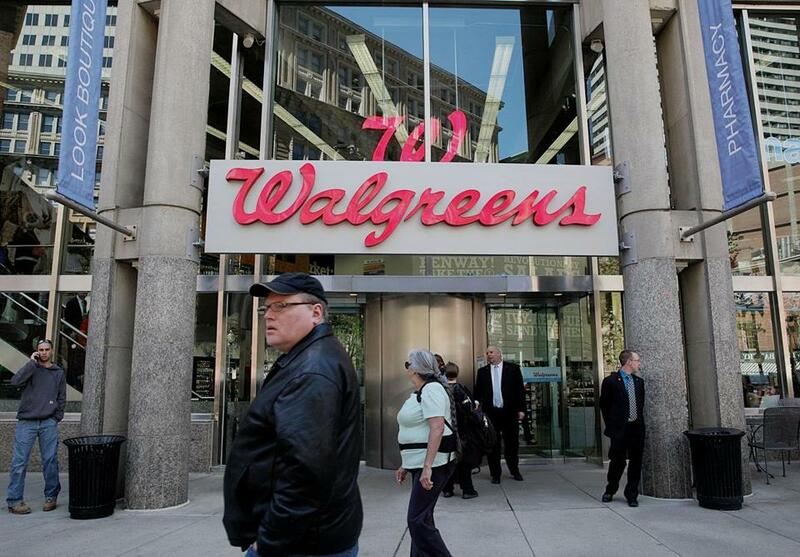 Instead, they have a Walgreens, and, with it, a vision of the neighborhood that is corporate, sterile, and unimaginative. It doesn’t have to be this way. In Cambridge’s Kendall Square, residents, city officials, landlords, and real estate brokers have collectively created a destination neighborhood by promoting unique, local, independent businesses to the exclusion of corporate retail. People come to Kendall because the square offers something they can’t get anywhere else. The landlords even make money off this fact. The Kendall playbook is simple, and it works. And it’s crying out for someone in Boston to steal it.